The LPNABC believes that all health care providers have an important place in providing safe patient care, when placed in the right environment, with the right supports. LPNABC has been actively responding to the outcry of concerns that LPNs are being displaced and replace through decision makers based on economically equations. We support the concern around licensed practical nurses and registered nurses being replaced by health care assistants versus the addition of HCAs to the staffing mix. The key points of concern regarding the “Care Delivery Model Redesign” are the dramatic changes in the staffing mixes. The term “redesign” has implication towards improvement of care delivery for all patients, but this is not the case. The Health Care Assistant is not educated or trained for acute care settings and requires further dependency on the nursing staff for guidance, assignments and delegation to ensure the best outcomes for the patients. Licensed Practical Nurses are highly educated, trained and held to a regulated Standard of Practice and Code of Ethics, working in collaboration with the Registered Nurse, Physician and Nurse Practitioner as we attend the patient. The acute care environment is a highly complex care environment that has a critical need for trained professionals to be continually assessing the patients and coordinating the “Plan of Care” towards a safe, efficient and timely discharge plan. LPNABC believes in “Home is Best”. With the decrease of regulated professional nurses having to supervising more HCAs, as the “new redesign” indicates; the majority of the direct care providers will be the HCA. This will have direct implications for negative outcomes. The need is to support increase bedside care needs through a “collaborative model not a replacement model”. LPNABC welcomes Health Authorities to include all nursing designations in discussions around safe patient care. We encourage & support dialogue with the front-line workers. Providing safe care for our patients is foremost in nursing. LPNs want to be the solution to the needs and support better patient care outcomes. LPNABC is aware that LPNs need jobs, have the best education, training and capabilities but are struggling in their workplace to be allowed to work to their Standards of Practice and Baseline Competencies. LPNABC continues to advocate for the need for all health authorities to work together and have standardized approach across the province for continuity of practice. The College of LPNs of BC stated at the recent AGM/ Conference that this document is based on current Nurse (Licensed Practical) Regulation 283/2008 HPA. This document was to begin the process of transition to the new LPN Regulation that will be written using the Restricted Activities Model and the College introduction of “Standards, Limits and Condition”. There was great concern expressed by LPNABC representatives at the CLPNBC Conference regarding the change of the definition of “supervision” which in the current regulation, the LPN is held accountable under “supervision” of the Registered Nurse who is providing nursing services. The College of LPNs has supported the further definition to be “clinical guidance” as the RN is NOT held accountable for the LPN scope of practice. LPNABC has contacted CRNBC to learn that there is NO standard in place at the time we release this statement; to support this new definition, which has implications to hold both RN & LPNs liable for the outcomes with no supporting documentation through legislation/regulation which is required by law. The College has launched this new definition without proper supports in place (eg: regulation and joint statements from CRNBC & CRPNBC and having standards in place). LPNABC is not in agreement of this definition. This will reduce or remove the LPN autonomy and could have implications on the utilization (staffing models) if the LPN is to be held to the standard of having the RN issue “clinical directions” for all nursing activities that LPNs are currently capable of performing under direction (orders) of the MD/NP attending the client/patients. LPNABC is in the process of bringing these concerns forward to the Ministry of Health, CLPNBC, CRNBC, CRPNBC and employers. LPNs are to be recognized for their full contribution to the health care system in all areas of current employment. Please see LPNABC response to the regulation proposal specific to the issue of “orders” below. LPNABC sent a response to the Ministry of Health regarding the proposed rewrite of the Nurses (Licensed Practical) Regulation in December 2012. LPNABC met with the Ministry of Health on February 8, 2013 to further discuss the LPN Regulation to ensure that the Ministry rewrite/revise the regulation to fully optimize our current professional practice and proactively move towards the new Entry to Practice level of the present PN educational program. Comment: LPNABC strongly opposes the suggestion that a Registered Nurse or Registered Psychiatric Nurse has the necessary qualifications to provide an order by any means. RN & RPNs may not be attending or familiar with the patient/client (eg: Wound Care Clinician, which is attending the client versus RN that has never seen or assessed the client wounds) would be able to issue an order to an LPN. Also of concern is the loss of LPNs current utilization and optimization of their comprehensive training to assess the patient/client and respond with the appropriate nursing activity. It has come to the notice of LPNABC that RNs who work alongside LPNs in all areas of practice report they would do not want to be responsible for the LPNs practice through the act of writing an “order, direction or instruction” for clients that they are not providing nursing services for themselves. The act of giving an “order/direction” for the health care professional that is “attending” the client and is familiar with the medical treatment plan is based on the client’s personal history and the HCPs ongoing assessment. To have RNs or RPNs sharing that responsibility will hinder collaborative practice. This model will then create a new layer of health care professionals who will have been accountable for the clients care and may not be attending the client. The current standard for RN to write instruction is to “…. Assess the client.” This means that the LPN would perform their assessment, identify a need for nursing intervention (eg: suppositories for constipation) and the RN is held accountable to perform their OWN assessment to diagnose the condition, ensure the clinical direction/order is client specific and appropriate response; then write the instruction. This creates a duplication of assessments and is not time efficient nor maximizing the LPN education, do training and experience at the point of care. LPNs are currently trained to recognize change and collaborate with the appropriate HCP for the best outcome. The LPN will either connect with the Medical Practitioner or Nurse Practitioner that is attending the client for medical direction or collaborate/consult with an RN regarding nursing services being provided. This need for the government to review the current Nurses(Licensed Practical) Regulation to ensure that the scope of practice for LPNs is fully optimized based on current practice is essential. LPNABC also needs to encourage CLPNBC to not limit the scope by introducing Standards, Limits & Conditions that will hinder practice. HCP – health care profession (eg: MD, NP, RN, RPN and allied health. 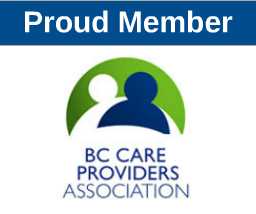 LPNABC promotes professional excellence and life long learning with strength through a unified voice representing the Licensed Practical Nurses of British Columbia. The position of the LPNABC on union representation is neutral.